Finch & Barry has been instrumental in many diversified development projects including industrial warehouse, commercial office, retail, truck terminals, medical facilities, clean rooms, high tech laboratories and restaurants. The projects have included major renovations involving both changes in used and new construction, ground up construction, build to suit, spec to retrofitting existing properties. The 47th Street Terminal is a 78,830 square foot Cross-Dock terminal with 134 dock doors and 231 extra trailer stalls. On the 14.5 Acre property there also lies a standalone Service Bay for tractor repairs. It's located just off Interstate 55 on 47th Street. Located in right of 290 and 294 the terminal sites on 10.8 acres. Its proximity to O’Hare and its additional trailer 107 trailer parking along with 107 docks makes this Terminal site very desirable for large single tenant LTL Carriers. Newly constructed in 2005, this 97,000 multi tenant building provides both warehousing needs and plenty of dock doors and extra trailer storage. This 100,000 square foot industrial building is located in Schaumburg near Meacham Road & Golf Road. This convenient location allows access to major roads such as Route 355, Route 72, and the Northwest Toll-way. There are numerous restaurants and retail stores within 1 square mile. Close in proximity to Harper Community College. It is around 20 minutes from O’Hare International Airport. Retail space ranges from 4,000-16,000+ square feet. The Willow Lake Tech Center is 105,000 square foot flex use building centrally located in Schaumburg, allowing easy access to the Northwest Toll way and Route 355. 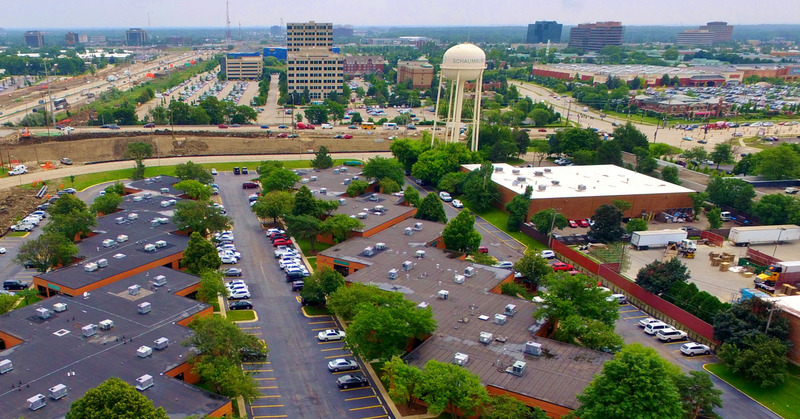 Willow Lake Tech Center is about 30 minutes away from downtown and 20 minutes from Chicago’s O’Hare Airport. Rental Spaces Range from 850 - 18,000 square feet. Professionally landscaped.